The residence at Amarra Drive used a beautiful mixture of Fleetwood doors and Windsor windows and doors to highlight the gorgeous Texas Hill Country. 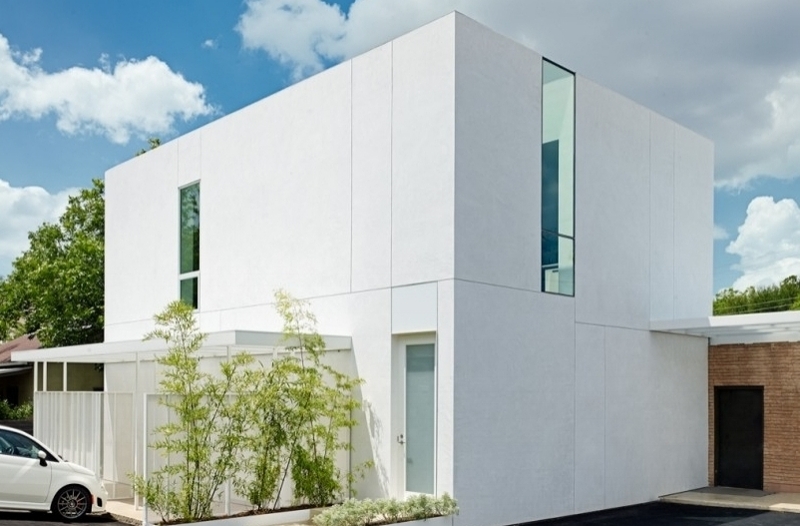 Baldridge Architects sought to produce a design that is, to the contrary, striking in its minimalism. A final design-build project, we worked to include carefully conceived details that demonstrate first-hand how a project can simultaneously be simple and dynamic, minimalist and warm, off-putting and inviting. Martel thoroughly enjoyed working with Younger Homes in Jonestown, TX. The emphasis put on pulling the surrounding beauty of the Texas Hill Country into the home by using large windows and doors was right up our ally! Fleetwood sliding glass doors combined with Milgard windows, accomplished their goal.